EA Feldman, RCNVR, died from injuries when HMCS Columbia rammed a cliff in Motion Bay, NFLD in a heavy fog on 26 Feb 1944. Welcome to "For Posterity's Sake" - a site dedicated to the men and women of the Royal Canadian Navy, the Canadian Forces (Navy) and the ships they served and lived in. This is a personal website and is not affiliated with the Government of Canada or the Department of National Defence. 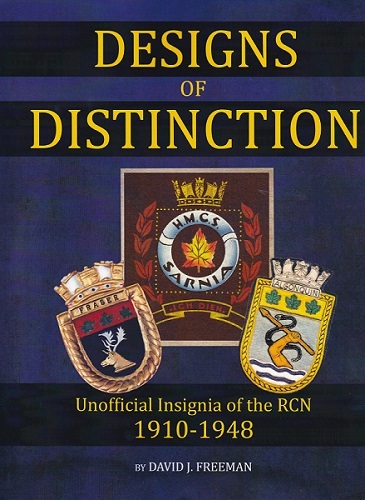 The goal of this site is to preserve and share the history of those who have sailed in the ships of the RCN and C.F. The history we all have buried in our basements or closets in boxes and photo albums - photos of grandparents and parents, aunts and uncles who have also taken pictures and told stories of there time in. This is the history you will not find on the government's historical pages - and its these photos and stories that we all have that I'm hoping to preserve here for posterity's sake. If you would like to submit photos or stories to be posted here, please send me an EMAIL ( info@forposterityssake.ca ). With the help of all sailors past and present and their families this page can be made into a historical site for future generations to learn about our proud past. May you always have fair winds and following seas! The Guelph Mercury 16 Nov 2015 - "The Canadian Navy … trained men with men who were scarcely trained themselves. It did everything under the pressure of desperate urgency. It learned to fight a war while fighting it. By all the rules, it should have been the most unholy hash to come out of the war. Somehow, things have turned out differently." Seaman Campbell, HMCS Kootenay H75 - "There was nothing glorious or romantic about watching bodies and gear float to the surface after sinking a U-boat." * What happened to HMCS Quesnel's Thunderbird? The ships are gone but the stories remain... A military memoir of humour, horror and honour, My Battle of the Atlantic chronicles daily life aboard a corvette in the Canadian Navy during the Second World War. While escorting convoys across the Atlantic Ocean from Halifax, Nova Scotia to Londonderry, Ireland, the HMCS Edmundston encountered many dangers: U-boats, icebergs and adventurous WRENs! Webmaster's note: Donald's book was a recent acquisition for my library that I thoroughly enjoyed. In a short 114 pages, Donald managed to cover many aspects of the Battle of the Atlantic from a personal view. 24 Mar 2019 - A booklet on the Canadian Patrol Frigate Project has been added. 13) A List of the Ships Scrapped or Broken Up By Capital Iron & Metals Ltd. in Victoria BC. The information on this site is for informational purposes only. This website is a compilation of information from many government website, books and and other resources such as wartime diaries and stories from the memories of those who served and may contain historical inaccuracies. For Posterity's Sake and those who submit information to this site are not responsible for any historical inaccuracies and accepts no responsibility for any costs / expenditures by those using this information. Anyone using information from this site should exercise due diligence and verify any information used. © 2012 - 2019 For Posterity's Sake.